Watch your favorite movies and shows with stunning clarity thanks to full 4K video passthrough, Dolby Vision™, HDR, HLG and HDCP 2.2 support on all six HDMI ports of the AVR-X1500H. The 7.2 Ch. AVR supports 3D audio formats Dolby Atmos®, DTS:X™ and DTS Virtual:X®. Stream Spotify®, Tidal and more with HEOS built-in. Controlling your AVR has never been easier with Amazon Alexa voice compatibility. 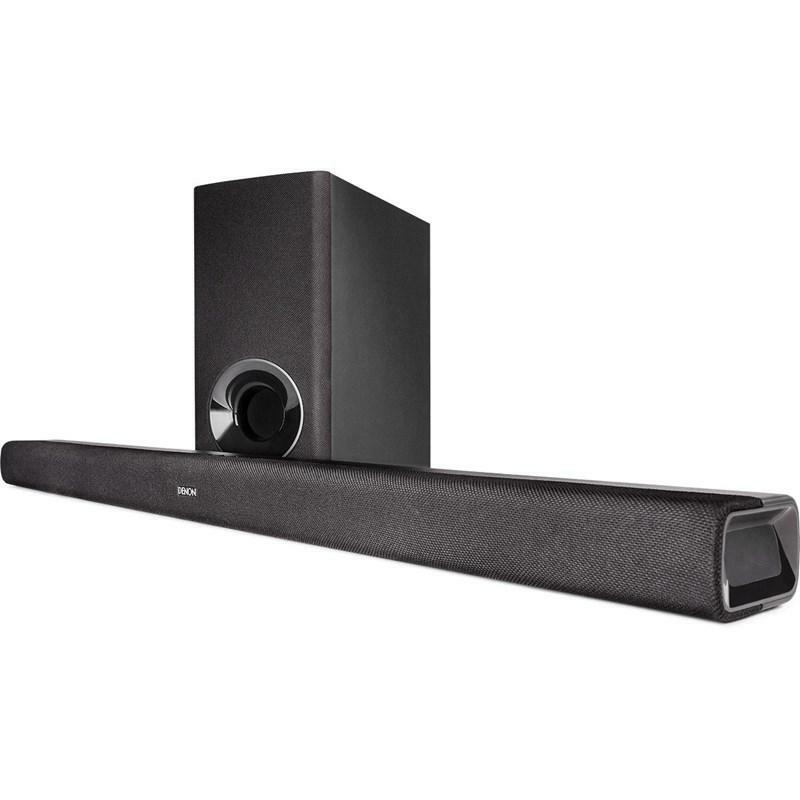 This receiver features the Audyssey MultEQ XT room acoustic measurement system. With the supplied microphone, it precisely analyzes the output of each speaker to optimize every channel. Plus, the additional Audyssey MultEQ Editor app (available for purchase) allows advanced users to go "under the hood" for further adjustment and customization of your audio environment. The heart of your wireless network. With Bluetooth and Wi-Fi wireless streaming connectivity, this receiver is equipped with an advanced dual antenna transceiver system for robust streaming even in congested urban environments. Enjoy listening to your favorite audio content wirelessly from your smart devices. Better control in your back pocket. 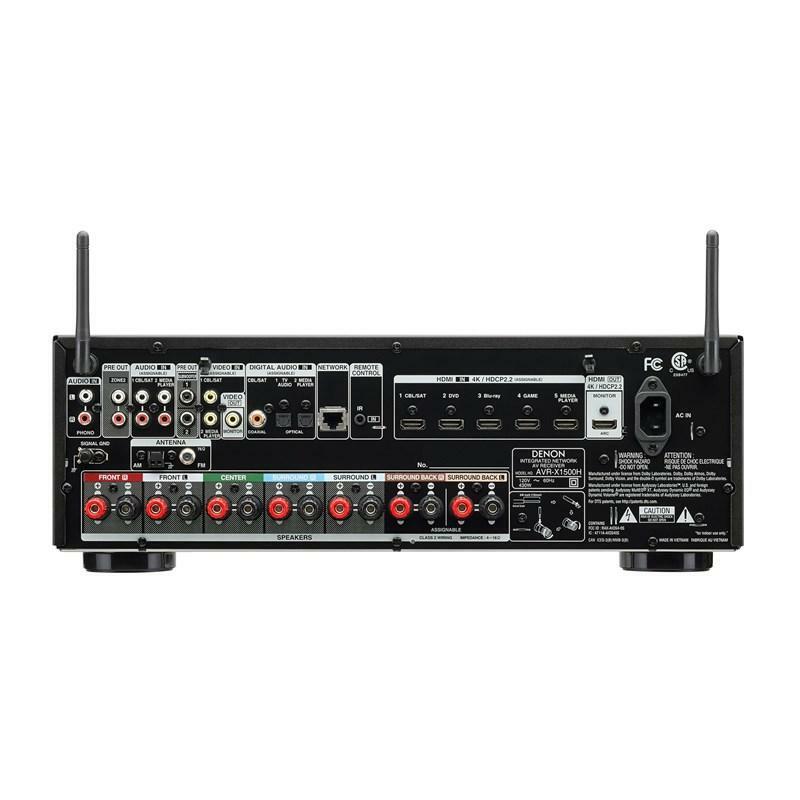 The free Denon AVR Remote app for iOS and Android makes using this receiver even easier — adjust volume, turn it on or off, mute the music, select a source or switch to HEOS. 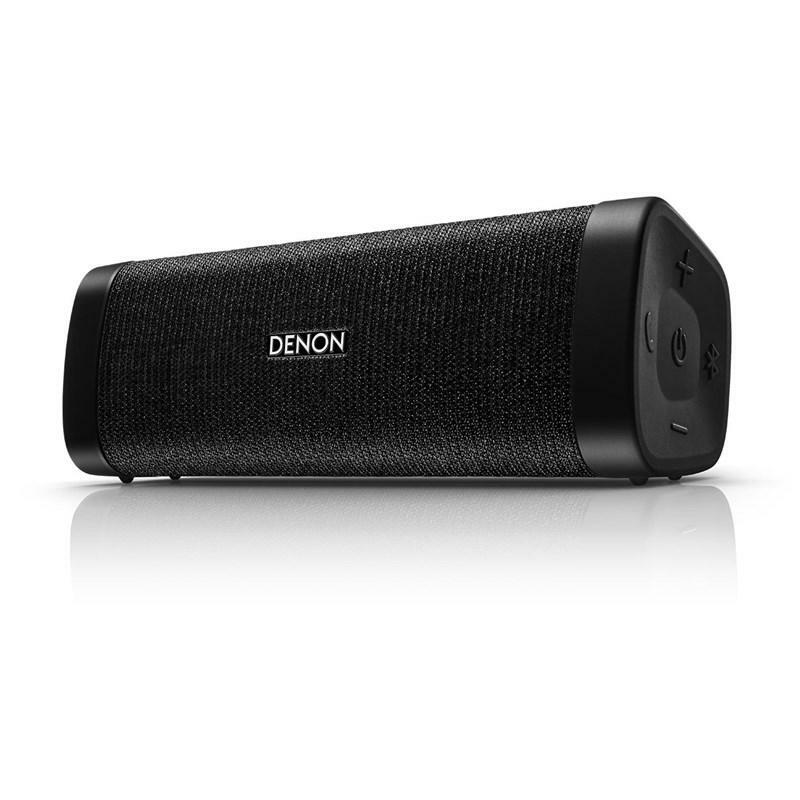 Download the free Denon Remote app to your smartphone today. This receiver's front panel features four Quick Select buttons that store your preferred audio settings for each source. Switch between TV audio, Blu-Ray, media players and more–and the receiver adjusts the EQ settings to your preferences for that media source. Use the buttons on the front panel or opt for the same Quick Selects on the AVR remote for faster control. Incredible power for your music and movie needs. 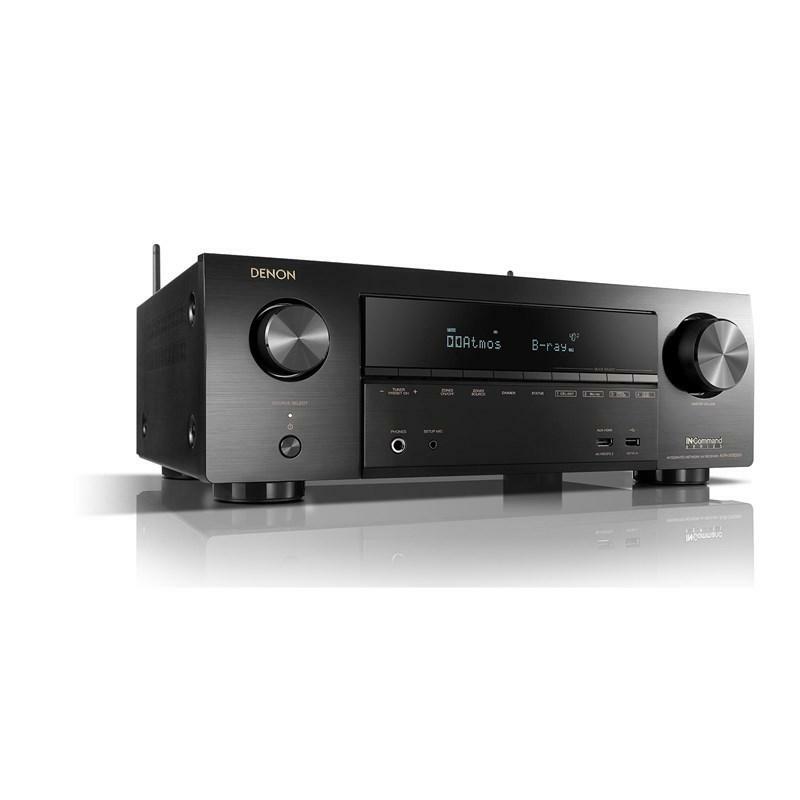 This receiver includes an advanced DSP (Digital Sound Processor) chip for tremendous power processing. 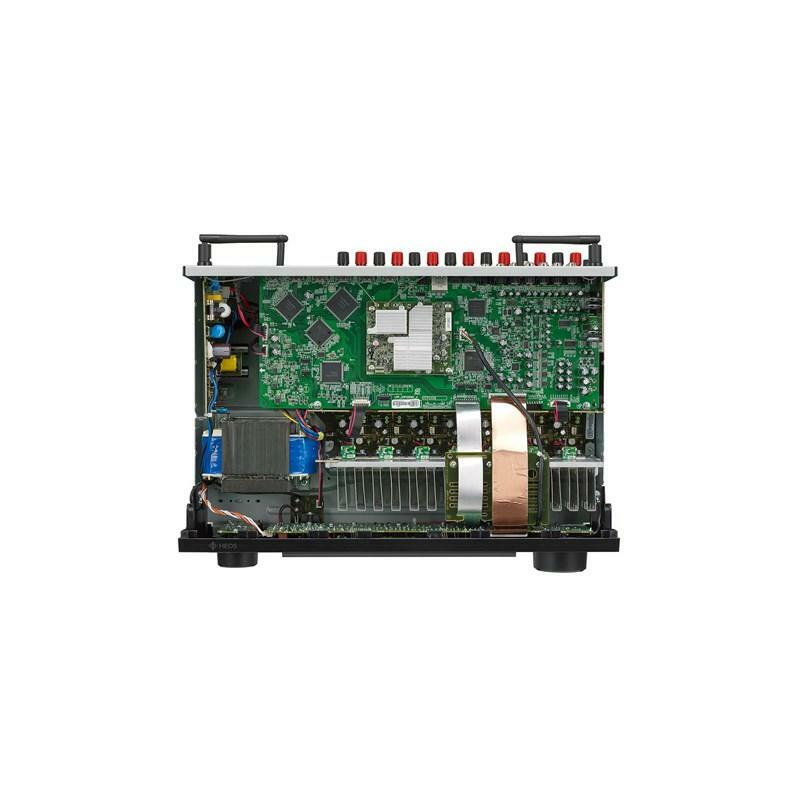 With four 300MHz DSP cores that are capable of processing over one billion computations per second, this receiver supports the latest video, sound and processing needs. Discover the incredible fidelity of high-resolution audio tracks and enjoy music as the artist intended. 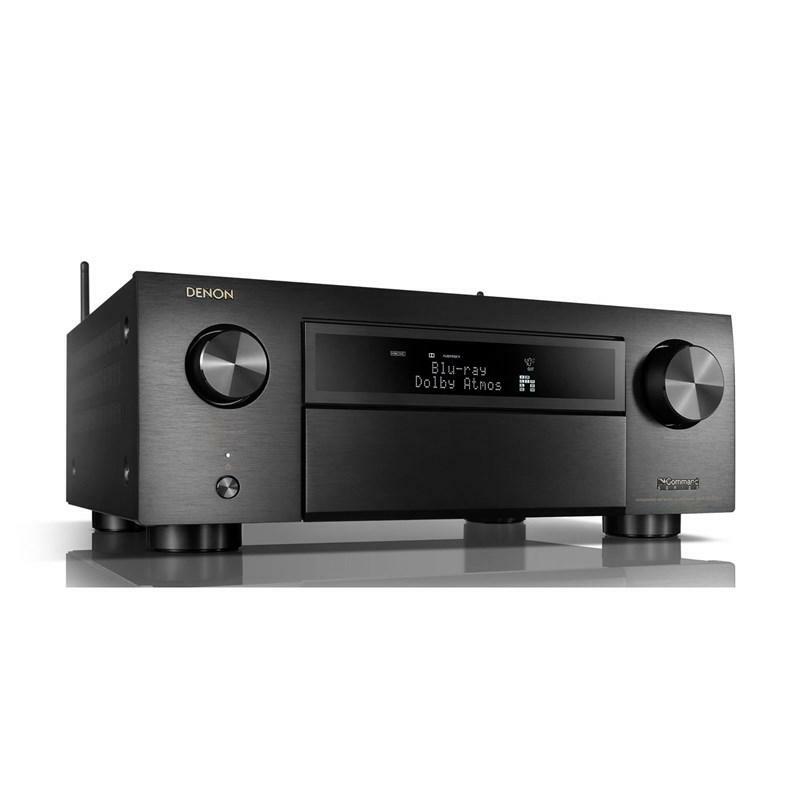 This receiver has the ability to decode multiple lossless file types, including ALAC, FLAC, WAV (up to 24-bit/196-kHz) as well as DSD 2.8MHz and 5.6MHz tracks (the audiophile format of SACD). Listen to high-resolution audio through network connected devices like your PC or NAS, or from a USB connected device. 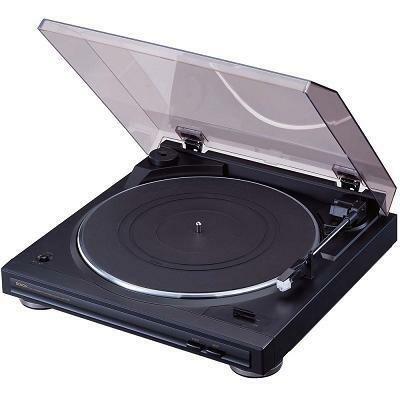 With the included phono input, this receiver lets you connect your turntable and play vinyl records. Enjoy your vintage collection with exceptional quality and sound. Immerse yourself in evenly distributed, accurate bass. 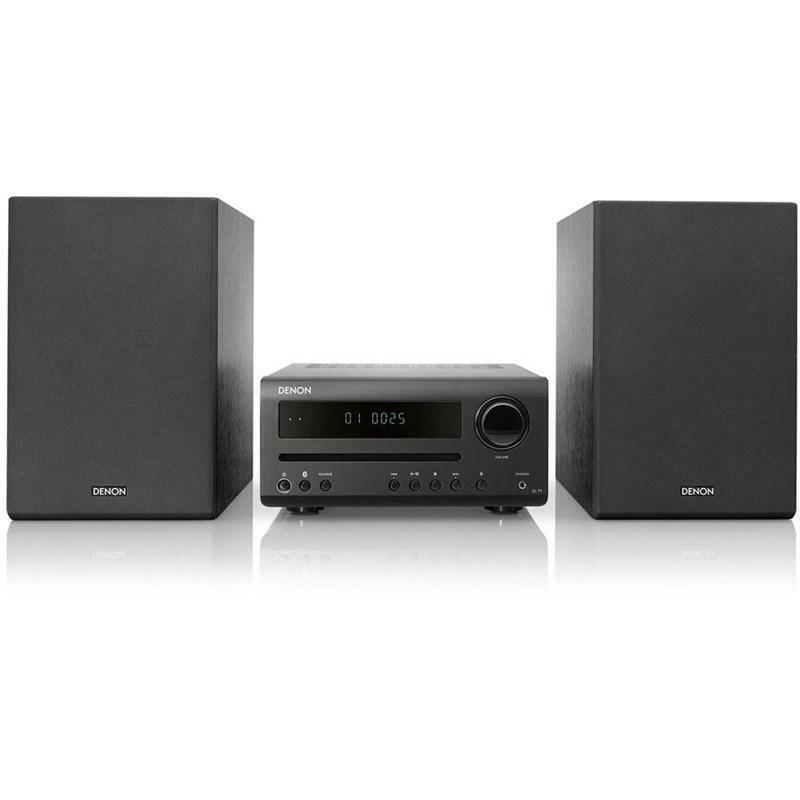 This receiver features two subwoofer outputs to smooth out low frequencies and provide better dispersion. No audible peaks or dips — just powerful, room-filling bass.